Our company is engaged in offering vegetables oil refineries that have always been our forte as far as the oil processing industry is concerned. 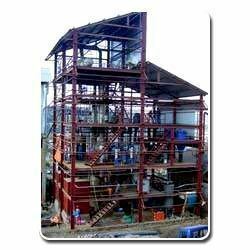 With our expertise, we are able to provide cost efficient and well equipped oil refinery of various kinds. We offer Tray Type Deodorizer that are vertical cylindrical vessel with trays in stainless steel construction. These are provided with sparging steam arrangement, light sight glasses designed for continuous operation with provision for external oil heating system to deodorization by thermal oil / high pressure steam. The deodorizer is equipped with CE-PED Machinery Certification. We are approved to design and manufacture Pressure Vessel in compliance with the European Councils Pressure Equipment Directive 97/23/EC & Machinery Directive 98/37/EC by the European Notifying Body. 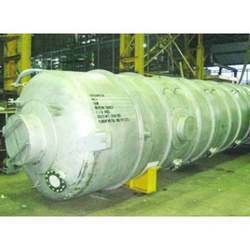 We are offering Physical Refinery that is designed to refine fully, i.e. pre treat, bleach, strip and deodorize. The machines installed at refinery are fabricated by our expert personnel who understand the basic requirements of oil mill industries thus meeting their total satisfaction. We offer these refineries at most competitive prices. Continuous bleacher with vacuum-sealed bleaching earth dosing arrangement is provided for a very quick and efficient bleaching of the oil. Adequate Plate Heat Exchangers and other heat exchangers are provided to enhance maximum heat recuperation of the out going oil form the deodoriser and thus reduces the steam consumption to a bearest minimum. An additional heat exchanger is provided to reccupe the heat of out going thermic fluid for the feed oil to the stripper and thus reduce the total heat load on the stripper. Vertical packed type D.O. ensures efficient deodorisation of the oil with minimum steam consumption. 4 Stage Mazda make high vacuum equipment is provided to have suitable vacuum (3 torr) for the process. Three stages of filtration of the oil are provided before reaching to the final holding tank to assure the best quality of the refined oil. Plate and frame type heat exchangers are mostly used for less space consumption, less maintenance, and efficient heat transfer. Complete automation is provided to assure continuity of the process and less manpower requirement. The complete plant layout and equipments are designed and arranged for better space utilization, operator friendly and less man power requirement. Looking for Vegetables Oil Refinery ?